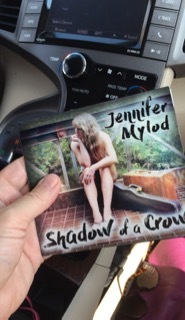 Got word today, that my cd -“Shadow of a Crow” is totally finished! The replication process is complete, and it was ready to be picked up!!! 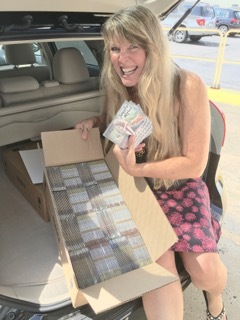 So I took a drive out to the factory to pick up the cd cases… and I am so thrilled! FINALLY! Then throw into this mix… that I’ve got 8 new songs that were ‘just born’…. and they’re churning – in the swirling eddy of my mental river of inspiration… so… all this stuff is swirling about in my head – and add the possible melodies & music that goes along with each song… and wellllllll… I’m just a tad bit MORE than overwhelmed. But I’m not complaining… and I joyfully accept each and all bits of inspiration & insight that’s given to me… and view it as a beautiful, cherished gift – from my Guardian Angel / Muse. And here’s an idea… Contact me through my website here, or email me at WinterCastSnow@gmail.com – and mention the offer from this blog – and I’ll waive the shipping & handling costs – if you order the new cd “Shadow of a Crow” – which is only $15… But I can only do this IF you purchase it directly through me. If you go through CD baby – you can hear the 30 second samples for each song… but you’ll pay $15 + shipping & handling. So if you’d like to save the shipping… order it here through me… Just a thought! I also – now have Paypal buttons!